Underwater Wireless Sensor Network (UWSN) is a group of sensors and underwater vehicles, networked via acoustic links to perform collaborative tasks. Due to hostile environment, resource constraints and the peculiarities of the underlying physical layer technology, UWSNs tend to be sparse or partitioned, and energy-efficient data collection in a sparse UWSN is a challenging problem. 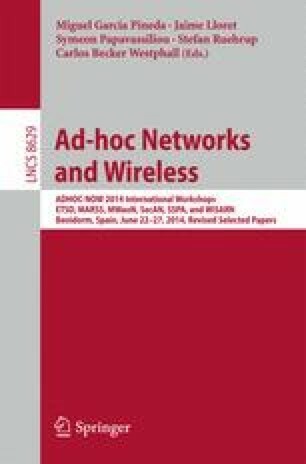 We consider mobility-assisted routing as a technique for enabling connectivity and improving the energy efficiency of sparse UWSN, considering it as a Delay/Disruption Tolerant Network (DTN) or Intermittently Connected Network (ICN). The DTN framework shows superior performance in terms of energy efficiency and packet delivery ratio, at the cost of increased message latency. We investigate the effectiveness of a polling model to analyze the delay performance and propose a dynamic optimization technique to minimize latency adaptively, thereby supporting delay-sensitive applications also. The effectiveness of the proposed technique in modelling the dynamically changing environment and minimizing the data collection latency is validated using NS-2 based simulation.